Without the evil vampire Bishop ruling over the town of Morganville, the resident vampires have made major concessions to the human population. With their newfound freedoms, Claire Danvers and her friends are almost starting to feel comfortable again. Now Claire can actually concentrate on her studies, and her friend Eve joins the local theatre company. But when one of Eve's castmates goes missing after starting work on a short documentary, Eve suspects the worst. Claire and Eve soon realize that this film project, whose subjectis the vampires themselves, is a whole lot bigger - and way more dangerous - than anyone suspected. Okay, I'm not even going to bother writing a review for this book because I love this series so much that sometimes I feel like words aren't enough to sum up just how much I love/enjoy it. Seriously. 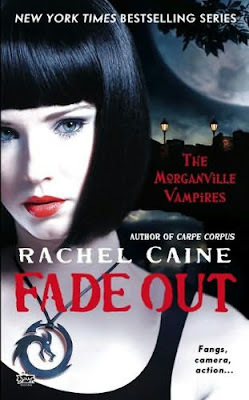 Rachel Caine's one of my favourite authors for a very good reason. I loved the latest installment. Loved it!